The Mt Isobel Tramping Group has recently completed volunteer work on establishing a clearly marked poled route from Jacks Pass to the summit of Mt Dumblane. 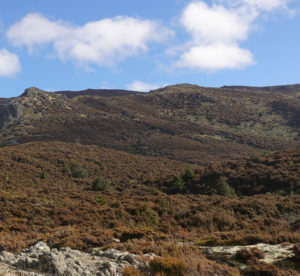 This delightful walk is now available as an alternative day hike to the higher traditional Hanmer Springs to Mt Isobel route. How to get there: A short drive along Jacks Pass Road from the centre of Hanmer Springs village, turn right just past the medical centre and drive up the unsealed Clarence Valley Road to the carpark at the top (approx. 20 minutes). 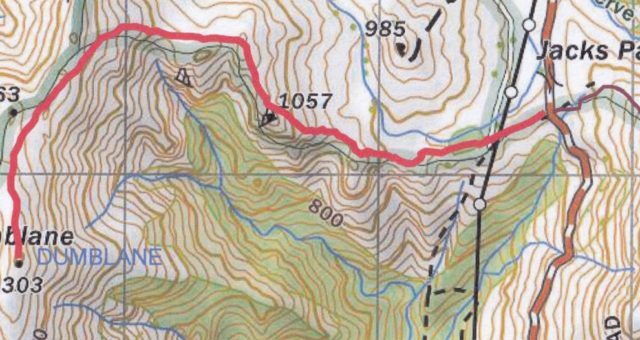 Alternatively first walk up the Chatterton track starting from the end of Jacks Pass Road (from the village, continue past the hardware store, and along the dirt road left past the camp ground) at Hanmer Springs village height. The walk: Starting at Jacks pass (approx. 860m) and following the ridge line up to Mt. Dumblane (1303m) this track passes through stands of native bush and alpine heath to the top above the snow line. Round trip approx. 3-4 hours. Note that this is mountain terrain, so warm and wind-proof gear is a necessity, and check the weather forecast beforehand.